new generation CEO? CFO? COO? CHRO? Driven by our purpose, we are keen networkers who connect leaders and organisations. We help companies attract a new generation of leaders who can take teams and boards to a next level. What we offer goes beyond mediating introductions and placements. Our team is committed to making each placement a lasting success, which is why a tailor-made on-boarding programme is included in all our Executive Search assignments. Diverse Change Personal Engage . We focus on C-level and C-1 and C-2 positions primarily for multinationals, including Dutch subsidiaries of multinationals, and Dutch local companies with large volumes and >1000 employees. In some cases, the organisation itself may be smaller, but with an above-average market impact. We have particular exposure in ICT, Telecommunications, Financials, Energy (both traditional as well as renewable), Chemicals, Industry, Consultancy, Construction and various B2B services, but we don’t try to create exposure through specialisation. Last but not least, we have ample experience in functional expertise areas such as Human Resources, Finance, IT, Digital commerce, Operations, Marketing & Sales and Supply Chain. We are also very strong on Non-Executive Search, for multinationals, local companies and not-for-profit institutions. Extensive intakes with the shortlisted candidates + individual assessments focussing on personality and key leadership elements. A tailor-made onboarding and integration program for the appointed candidate. Focus on leaders with a moral compass, a sense of purpose and a clear vision. An important book, and worthwhile to read. 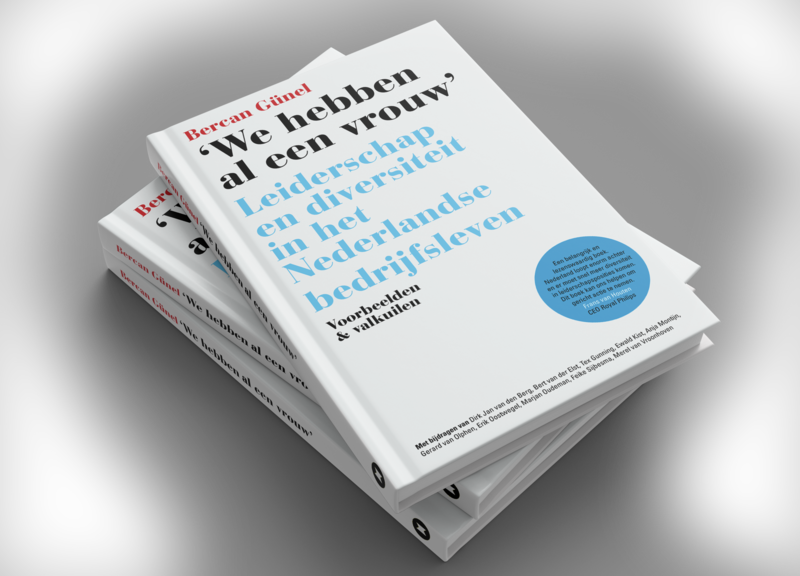 The Netherlands is lagging behind and we need more diversity in our leadership. This book can help us take dedicated action. A must-read for leaders who genuinely realize that embracing inclusivity and diversity will enforce successful and sustainable organisations.